Yoga can give one the tools to resolve the pain and suffering from having lived a life of active addiction. Skilled teachers can help one emerge re-integrated with amazing tools to prevent relapse. A mindful, intentional themed yoga practice can help the student use what they learn about themselves on the mat to inform and improve their daily life. This course will guide you in many ways to bring your yoga to people who are suffering from any addiction. S.O.A.R.™ training teaches you how to combine the recovery concepts in the physical yoga practice, helps you to discover and reinforce the union of these two philosophies so that the yoga class experience becomes richer and more supportive of a recovery path. 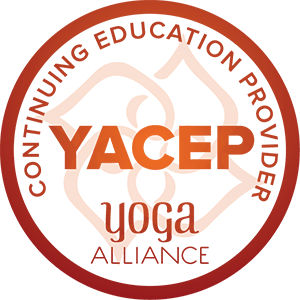 In addition, the training guides yon in the journey of practicing self-care in order that you remain integrated with core values while providing this valuable service to others. Using various modalities; videos, reading, personal conversation and presenting your own classes will help you be able to find your OWN voice. You will become confident and informed in preparing and instructing yoga classes to people affected by addiction. Online S.O.A.R. (tm) Training available anytime, anywhere in the world! Study anytime of the day or night, study at your own pace, complete within a month or within a year. The ONLINE training for distance students; nationally and worldwide. Write for details. The manual is *FREE*!!! You will receive a coupon for the e-manual by email as well as a list of resources for the class and for further study. NOTE: The training must be completed within ONE YEAR of purchase. Focus, energy and attention flag after that point.